Seizure exacerbation in two patients with focal epilepsy following marijuana cessation. “British researchers have determined that a little-studied chemical in the cannabis plant could lead to effective treatments for epilepsy, with few to no side effects. The team at Britain’s University of Reading, working with GW Pharmaceuticals and Otsuka Pharmaceuticals, tested cannabidivarin, or CBDV, in rats and mice afflicted with six types of epilepsy and found it “strongly suppressed seizures” without causing the uncontrollable shaking and other side effects of existing anti-epilepsy drugs. “The versatile cannabis plant may have a new use: it could be used to control epileptic seizures with fewer side effects than currently prescribed anti-convulsants. Ben Whalley at the University of Reading, UK, and colleagues worked with GW Pharmaceuticals in Wiltshire, UK, to investigate the anti-convulsant properties of cannabidivarin (CBDV), a little-studied chemical found in cannabis and some other plants. There is “big, historical, anecdotal evidence” that cannabinoids can be used to control human seizures, says Whalley, but the “side-effect baggage” means there have been relatively few studies of its pharmaceutical effect on this condition. The team investigated the effectiveness of CBDV – one of around 100 non-psychoactive cannabinoids found in cannabis – as an anti-convulsant. They induced seizures in live rats and mice that had been given the drug. These animals experienced less severe seizures and lower mortality compared with animals given a placebo. The drug also had fewer side effects and was better tolerated than three of the most widely prescribed anticonvulsants. Epileptic seizures affect about one per cent of the population. Left uncontrolled, they can lead to depression, cognitive decline and death. If you control the seizures, says Whalley, “the chances of death drop away completely”. The decision about whether to test the drug in humans will be made next year. But he urges caution. “The animals in the study are made epileptic,” he says, which is not how epilepsy is acquired in humans. He adds that what you see in animal models doesn’t always translate directly into humans. Epileptiform seizures in domestic fowl. V. The anticonvulsant activity of delta9-tetrahydrocannabinol. Anticonvulsant activity of delta9-tetrahydrocannabinol compared with three other drugs. 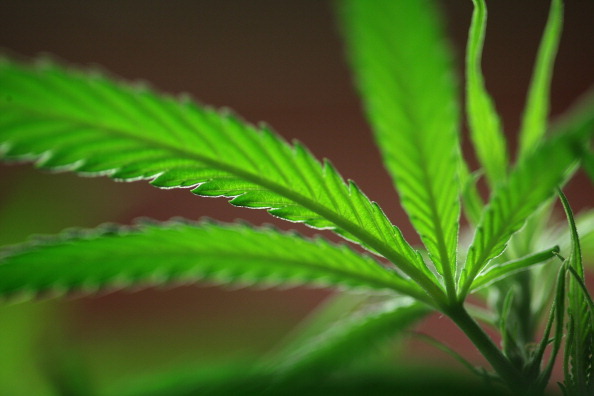 Marijuana use and epilepsy: prevalance in patients of a tertiary care epilepsy center. Cannabidivarin is anticonvulsant in mouse and rat. Δ⁹-Tetrahydrocannabivarin suppresses in vitro epileptiform and in vivo seizure activity in adult rats.